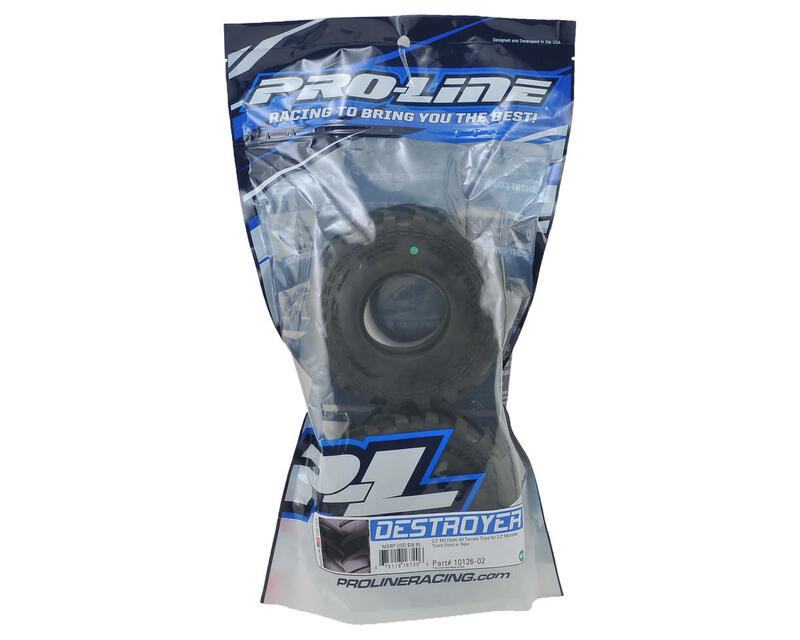 Pro-Line Destroyer 2.2" Monster Truck Tires are made from Pro-Line’s Legendary M3 Race Rubber for Maximum Destructive Traction on Dirt or Carpet. Similar to full size Monster Truck Tires, the Destroyer features an alternating deep-grooved chevron style tread pattern for incredible forward traction while maintaining the scale appearance that looks perfect on trucks like the Wheelie King! 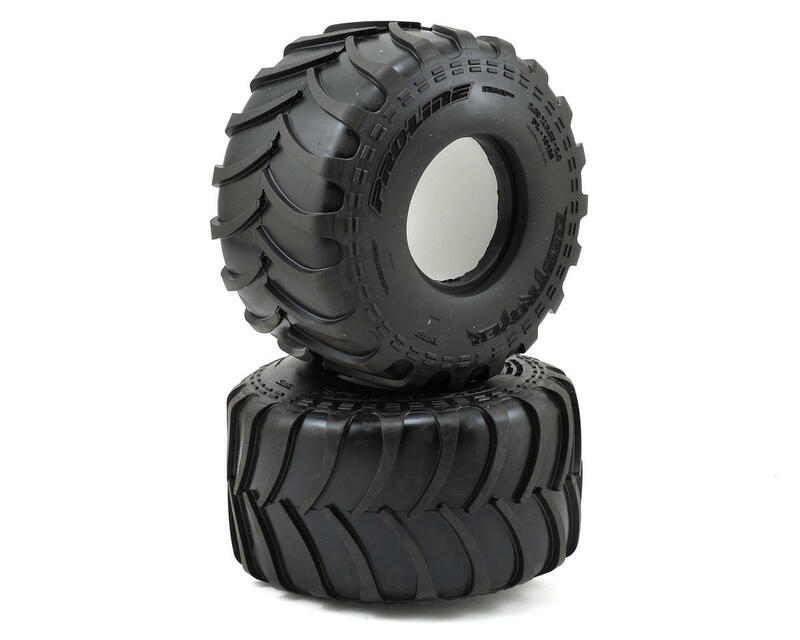 The overall size and width of the Destroyer tire has been finely tuned to be lightweight and agile, which makes it ideal for 2.2 class monster truck racing. The Destroyer includes soft white foam inserts for ultra-plush landings, greatly improving the handling and performance of your Monster Truck.